FRLRM is a platform that allows travelers to book mystery travel experiences sold at the best price available. 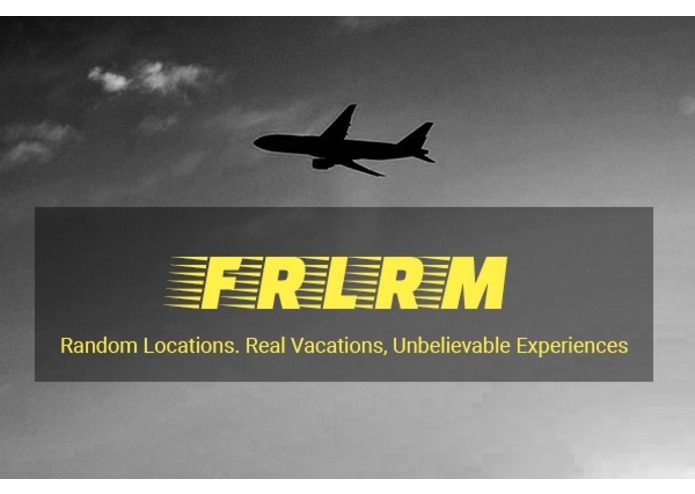 FRLRM is a platform that allows travelers to book mystery travel experiences sold at the best price available, without compromising the quality of flight service. In order to accomplish a seamless online customer experience, our service provides a user-friendly reservation platform that displays travel recommendations based on the customer’s preference inputs and a broad array of value-conscious travel options. Our travel experiences are selected based off a mixture of customer preference inputs that include travel dates and desired destination region, as well as big data such as Facebook Graph data to determine best travel experiences for the user. FRLRM tackles the whole travel experience, offering a variety of personalized experiences at the user’s destination. We recognized that there is intense price competition in the low-cost carrier airline industry and the need to provide personalized, high-quality travel and service experiences for value-conscious leisure travelers. We saw an opportunity for network airlines to capitalize on excess unused seats by offering targeted travel experiences based on both the individual’s perceived willingness to pay and closely-monitored preferences. This could add value to loyal frequent flyer customers and be utilized as a digital strategy that attracts the next generation of experience-driven millennial travellers. We provide a flight metasearch product that also has reservation functionality. FRLRM aggregates several mystery travel packages based on information from the customer’s specific itinerary including but not limited to preferences for departure airport, geographic region for destination, and flight period. 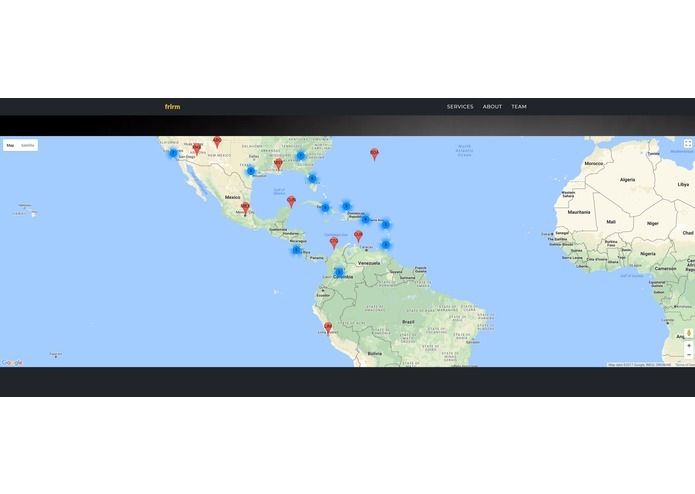 Our machine-learning powered “randomizer” chooses destinations based on the customer’s preferences, flight availability, and pricing data. After booking, the customer will receive information on the departure airport location and expected arrival time. On the day of the flight departure, the customer will be pushed a notification about the flight information (e.g. gate number, seat assignment, flight number and destination) and hotel reservations. We used bootstrap for our front-end web development, integrating the Google Maps API and Google Geocode API to display possible destination airports from the JetBlue data sets as well as Jinja2 to produce a front-end results display of available travel experiences. Our backend was written in Python using various REST API calls using the inputs from a questionnaire on our website. We hosted our entire web application on Google App Engine. The wifi had regular issues preventing us from working for roughly 8 hours of the event. We wanted to integrate more third party libraries, particularly for the personalization aspect of our web app, but it was difficult given the limited time we had with full access to the internet. We also had difficulty in finding appropriate data sets to allow full functionality of certain intended features. This was the first hackathon for one of our users and she was able to help significantly with the front-end web development and product design, while picking up back-end experience and knowledge as well. We are also proud of our ability to leverage our knowledge from a previous hackathon that two of our team members attended to more easily parse data and utilize it in a web app through the Google App Engine. This is also the first web app that three of our team members have worked on, so we are proud of creating a web app with strong utility based off real data sets from a large airline. We primarily learned from each other - one member had experience in Google Cloud Platform and was able to help the rest of us become familiar with it. We were able to teach one member Python, and two members how to use and parse REST API calls with Python. We also all had our first experience working within the flight and travel industry. Since more and more consumers are using AI voice assistance devices (e.g. cellular devices or smart speakers), we want to integrate natural language processing to allow customers to say where they want to go and what they want to do. We also want to take full advantage of the conversational capabilities that would provide customers with a more personalized and service-oriented experience. The AI will also record the user’s everyday hobbies and analyze his/her travel data (e.g. locations, usual vacation period, type of travel, and activity preferences). We would also like to link our app to Facebook Graph API data and other big data to enhance the ease and quality of personalization. Ultimately, our technology will be intelligent enough to recognize the user’s interests without the customer having to manually input his/her preference inputs every time he/she books a travel package. As a longer-term product, we also hope to gain access to larger data sets of flights, and to a data set of hotels, to have more data to search from allowing us to connect users with the widest variety of high quality travel experiences. 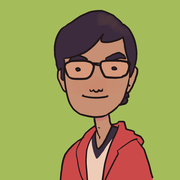 I wrote the backend python, implemented the Google Places API, created the parser for JetBlue's Fare Data, and created the randomization matrix based on the budget, dates and locations of the users, and created options for personalization.